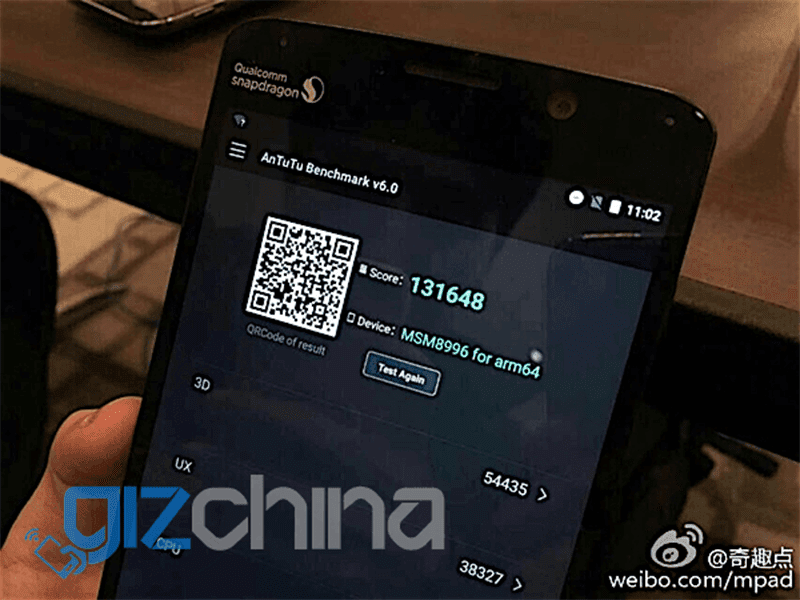 Snapdragon 820 Scores Over 131K At Antutu Benchmark! Destroys Everyone Else! Home / mobile / news / snapdragon / Snapdragon 820 Scores Over 131K At Antutu Benchmark! Destroys Everyone Else! The battle for the most powerful chip at Antutu benchmark this 2015 keeps on getting hotter and hotter. MediaTek started it with the Helio X20 at over 70K, the Huawei followed with the Kirin 950 powered Mate 8 at over 90K and the Exynos 8890 by Samsung at over 100K. I thought that the race is over this year for the highest Antutu score until Gizchina posted that Qualcomm's Snapdragon 820 chip destroyed everyone else by scoring 131,648 on a prototype demo unit! That's with a setup of 2K display, 3 GB RAM, 64 GB ROM and 21 MP cam. Which is almost unreal as they managed to score that high on a setup with 2K resolution that's power hungry. Imagine what will the score be if they use the Snapdragon 820 chipset on a final production phone with better optimization and lesser resolution. Definitely jaw dropping overall! Let's just hope that Qualcomm finally fixed the dreaded heating issue of the older Snapdragon 810 with the 820 chip.